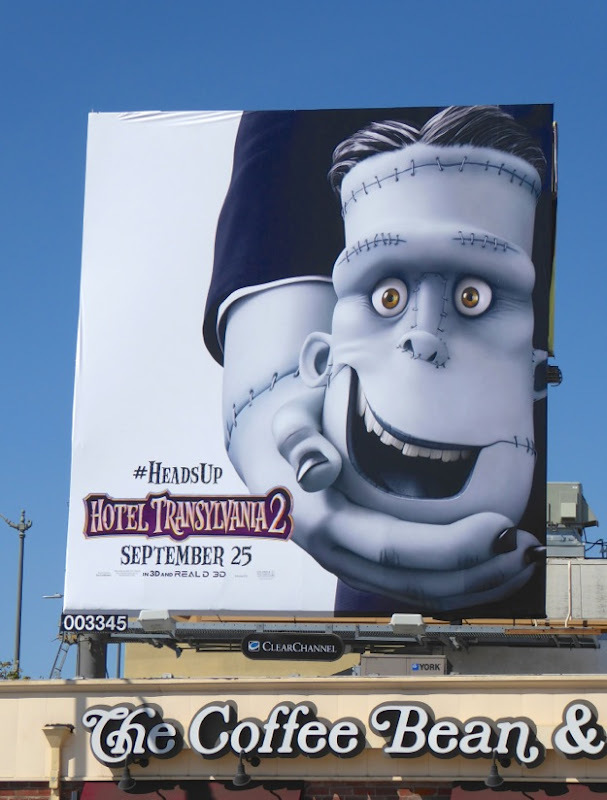 The sun may be shining and the temperatures getting hotter by the day, but you can tell that Halloween is just around the corner when it's time to check back in to Hotel Transylvania for another monster stay. 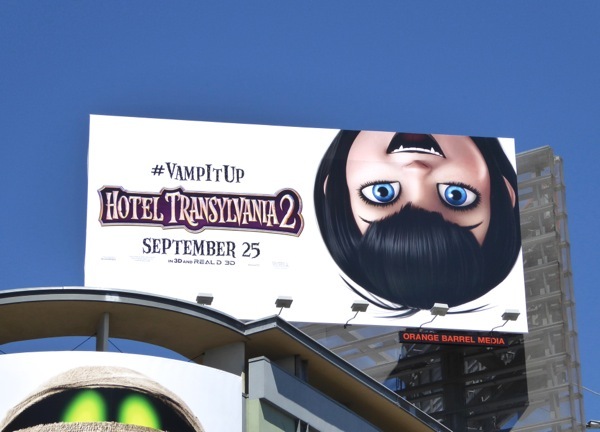 All your favourite creatures of the night are once again filling the L.A. skyline to promote Hotel Transylvania 2 with an array of standard and special extension character billboards. 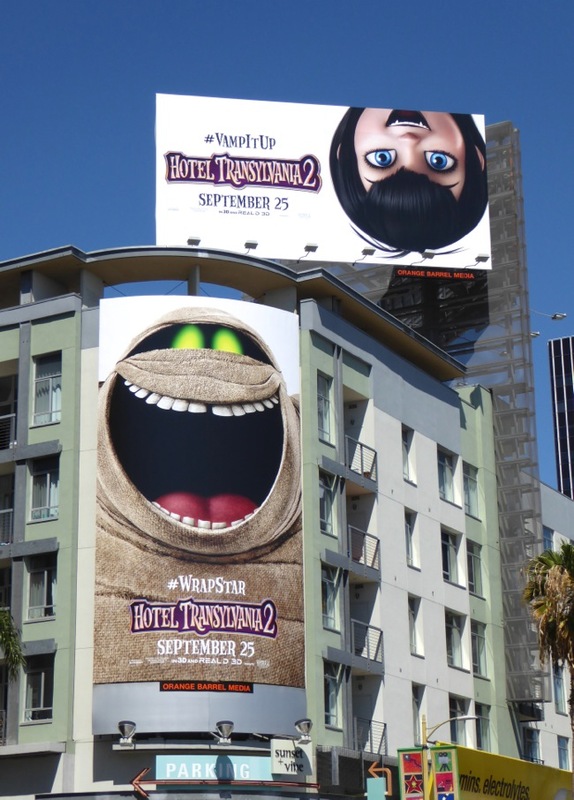 In this animated sequel the 'Drac pack' are back in an all new comedy adventure as the monster-only establishment finally opens its door to human guests. 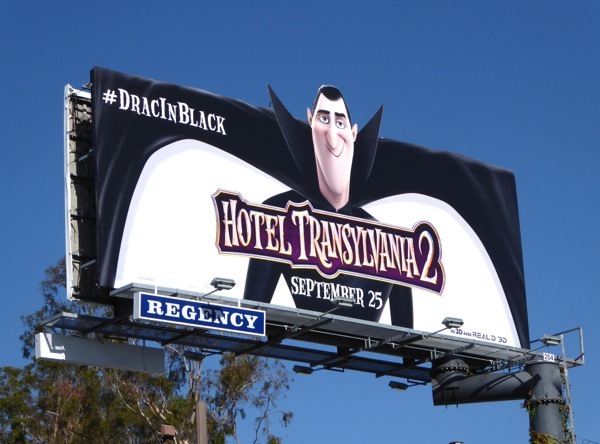 Yes, 'Dracula' and his teenage vampire daughter, 'Mavis', are throwing open the doors to his monstrous resort, where Frankenstein's Monster, werewolves, mummies, invisible men and blobs usually dwell. 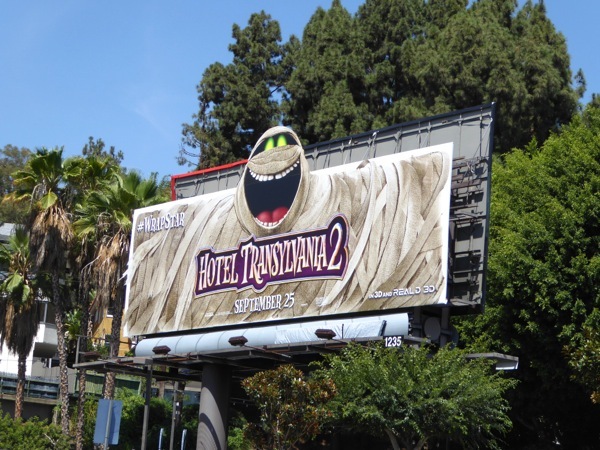 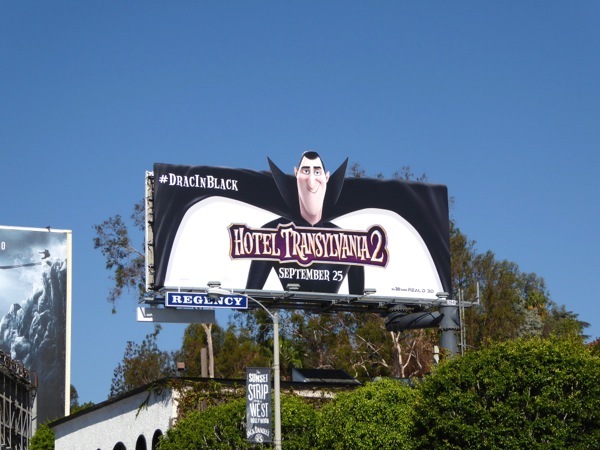 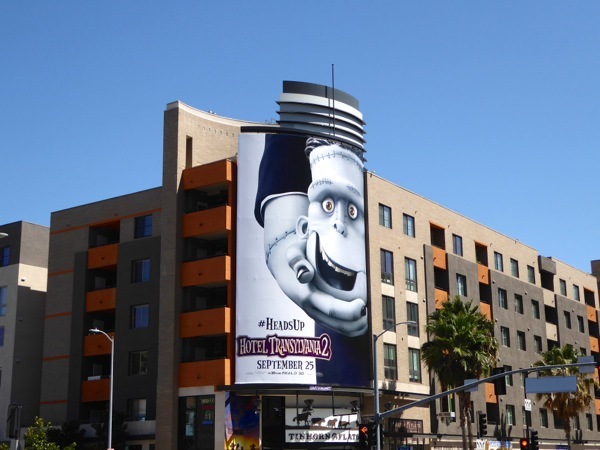 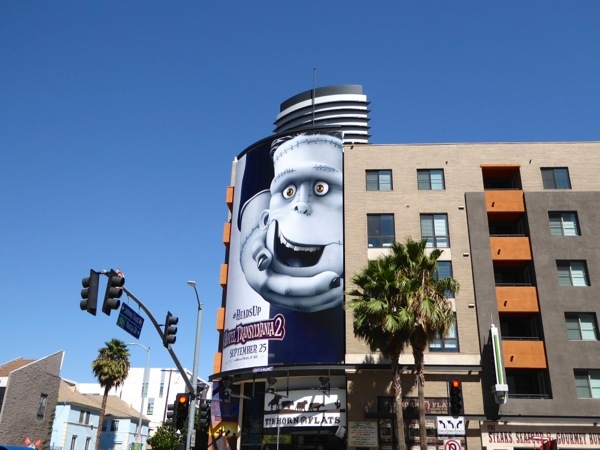 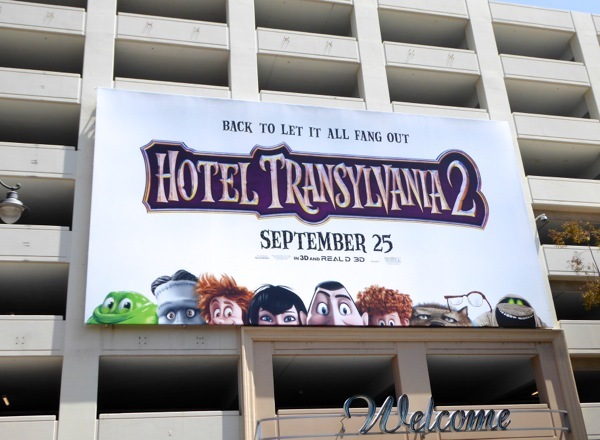 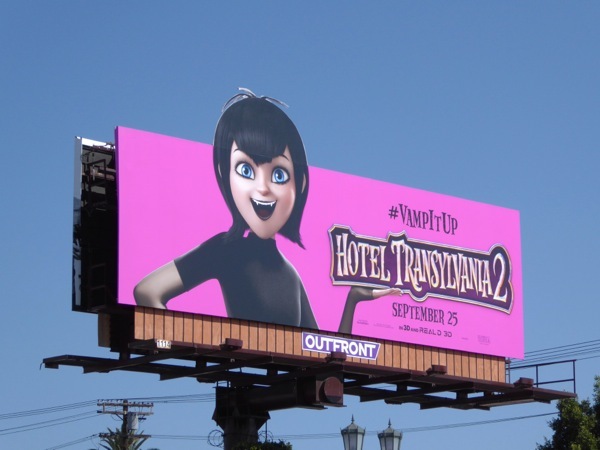 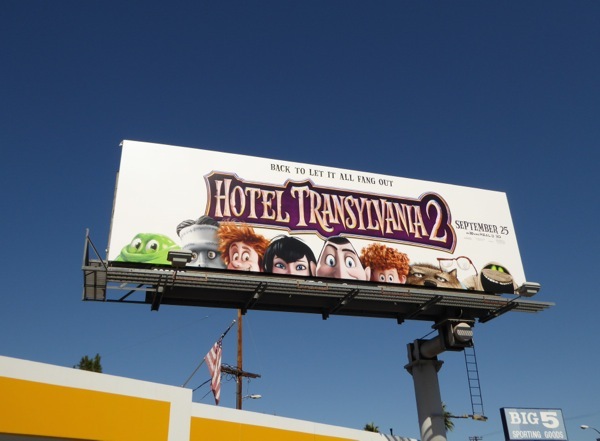 This fun collection of Hotel Transylvania 2 movie billboards were snapped from August 15 through August 27, 2015 around the streets of L.A., from Sunset Boulevard to Highland Avenue, Santa Monica Boulevard to Pico Boulevard, Venice Boulevard to The Grove Shopping Center. 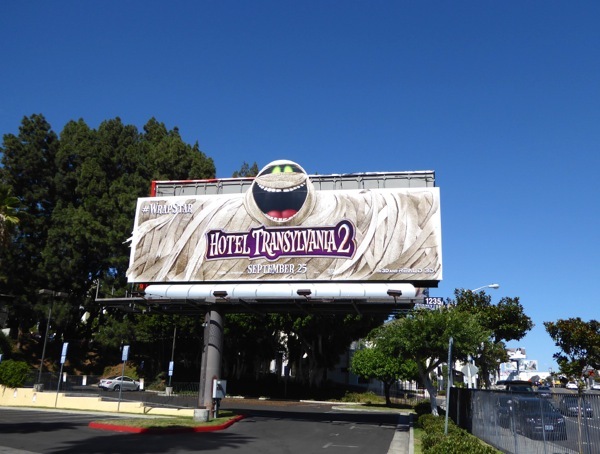 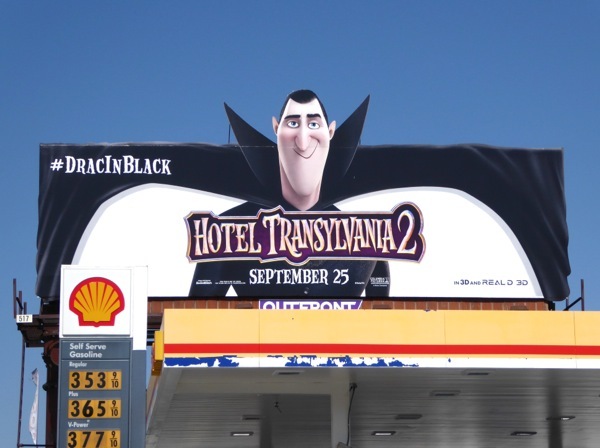 If you're a fan of the animated movie franchise, be sure to also enjoy all these Hotel Transylvania film billboards from around L.A. and New York City in 2012. 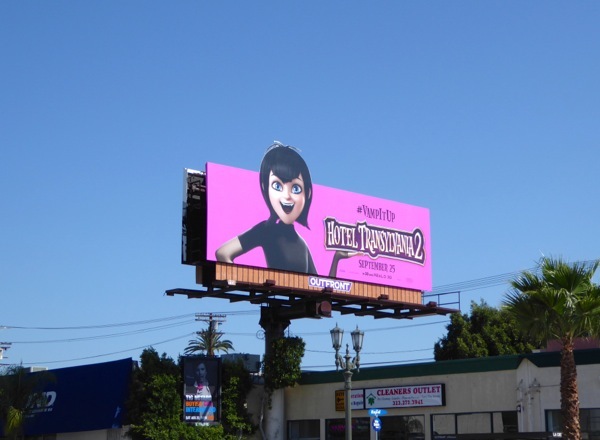 Plus if you're an animation fan, you should also take a look at all the other animated feature film outdoor ad campaigns that Daily Billboard has to offer. And with the haunting season fast approaching, be sure to also enjoy all these Halloween-themed billboards that have filled the city skyline over the past five years. 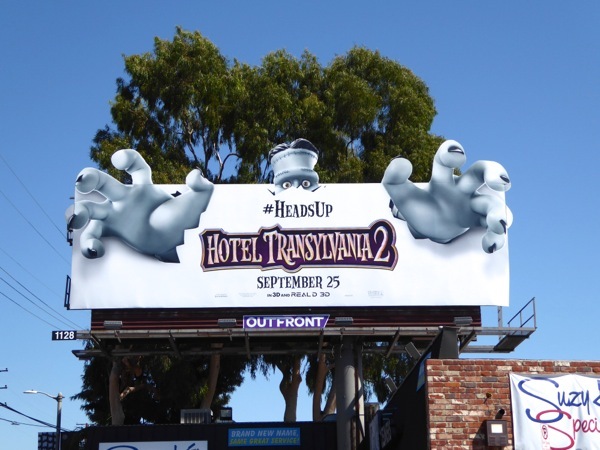 These billboards certainly delight more than they give you a fright. 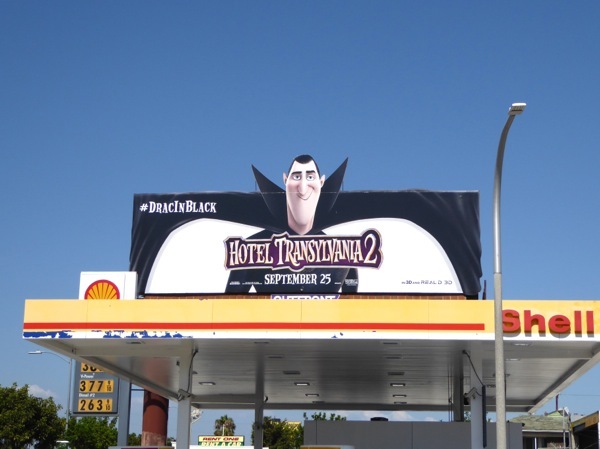 Will you be making a reservation to see Hotel Transylvania 2 this spooky season? 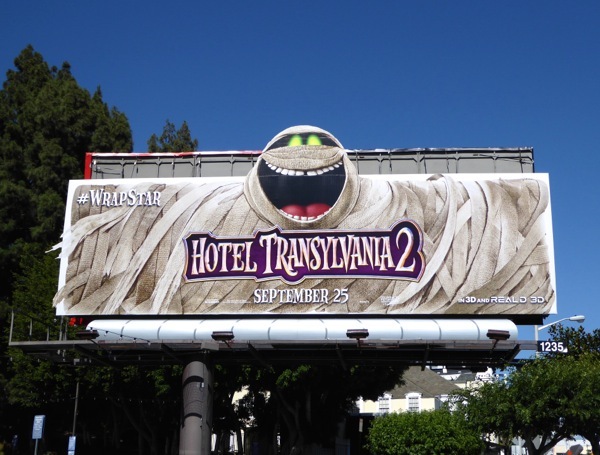 UPDATED: Here's another fantastic special extension billboard for the animated movie, this one featuring the blob monster 'Steve'. 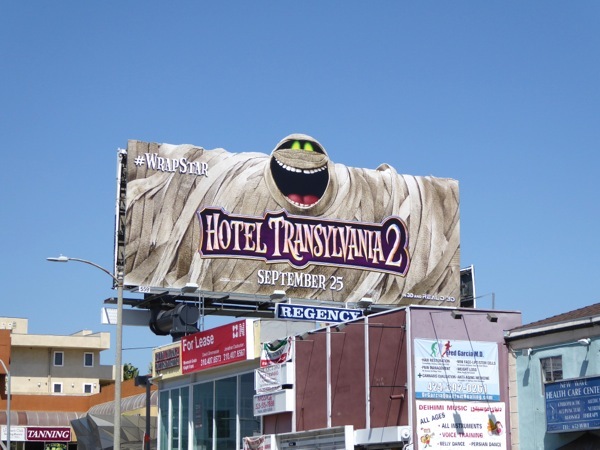 This unmissable vibrant green billboard was spotted along Melrose Avenue on September 2, 2015. 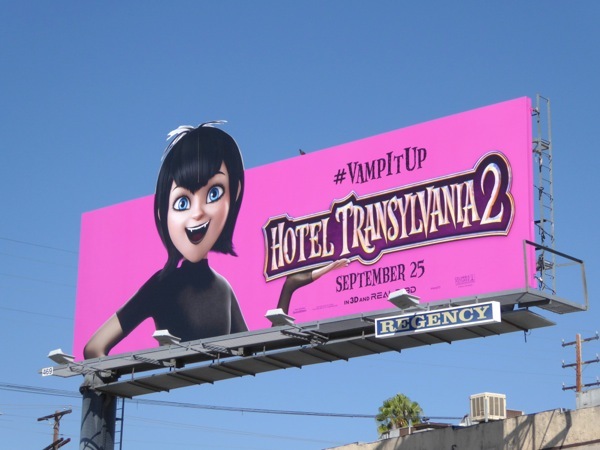 UPDATED: In addition to the wonderful blobby billboard even more special extension billboards have sprung up in prominent locations around L.A.
Dracula has taken up residence along the Sunset Strip, whilst his vampiric daughter Mavis was snapped the same day vamping it up on September 6 along Fairfax Avenue. 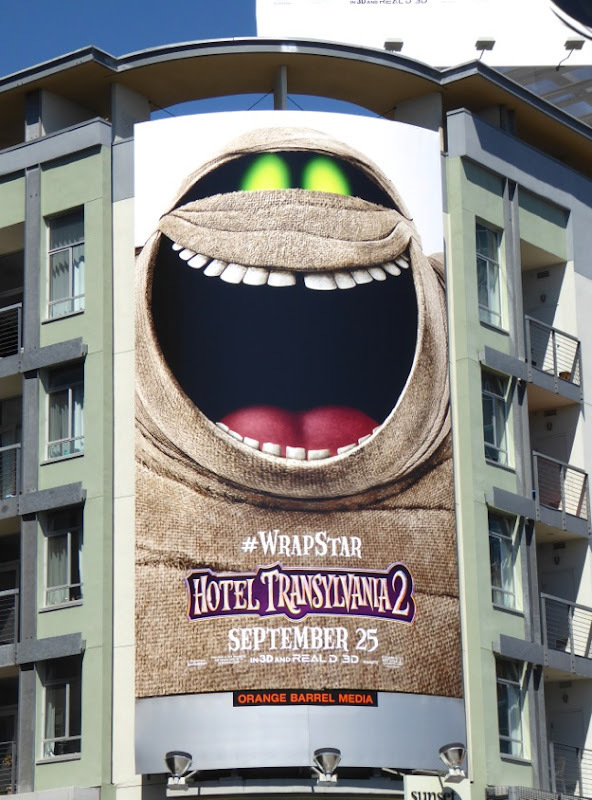 The 'Wrap Star' Mummy creative was spied again along Robertson Boulevard on September 3, 2015. 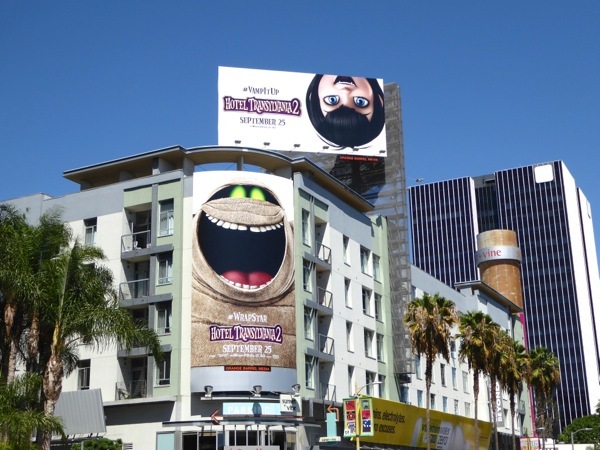 Sony Pictures could really do with a hit this year, so you can see why the studio is spending big to catch passersby attention. 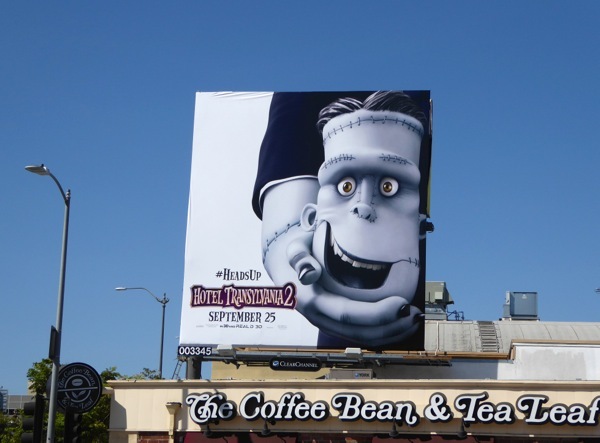 Plus here's a landscape billboard featuring all the motley monster crew snapped along Ventura Boulevard in Studio City on September 7, 2015. 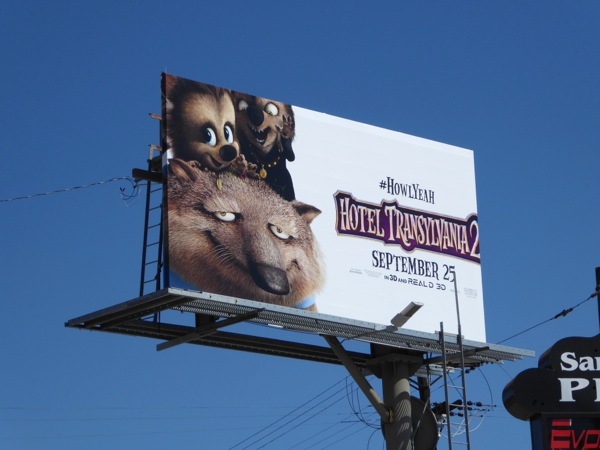 And here's a 'Howl yeah' werewolf-themed billboard snapped along San Vicente Boulevard on September 13, 2015. 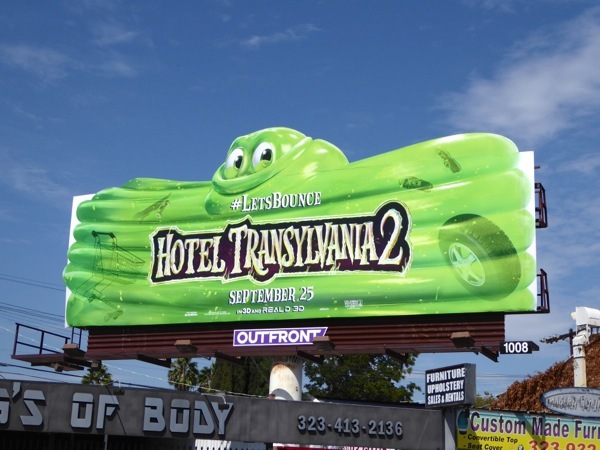 UPDATED: Daily Billboard really thought that the green blob billboard was our favourite, until we saw this fantastic special extension featuring Frankenstein and his outstretched hands reaching out for us. 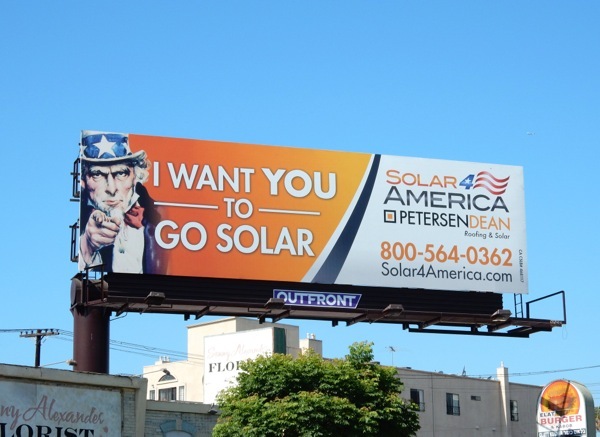 First spied along the 405 Freeway a week or so ago, this version was snapped bursting out of its billboard hoarding above L.A.'s 3rd Street on September 19, 2015. This truly is such a fun and inventive outdoor campaign and may be even better than this Summer's Minions movie billboards. 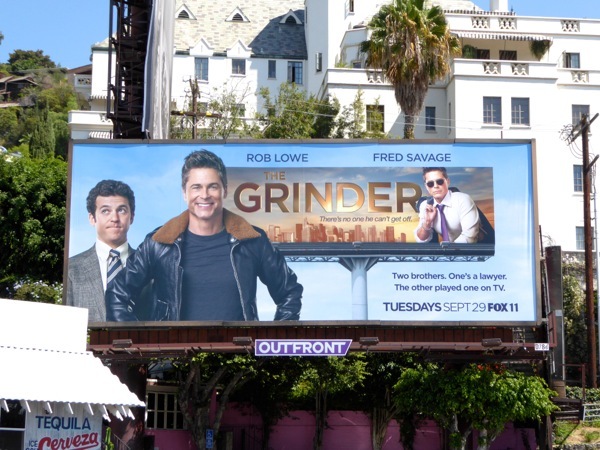 Hooray it's the weekend once again and we bet you're ready for the Best Time Ever, so here it is, NBC's new variety series hosted by the Tony and Emmy Award-winning Neil Patrick Harris. 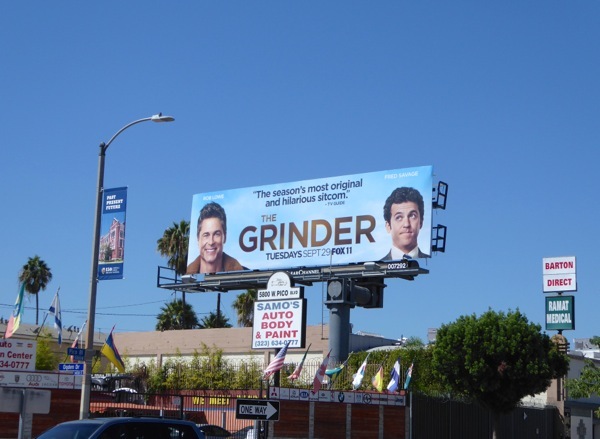 But this is one guilty pleasure you won't have to wait until the weekend for every week, as it'll be coming to you live every Tuesday night. 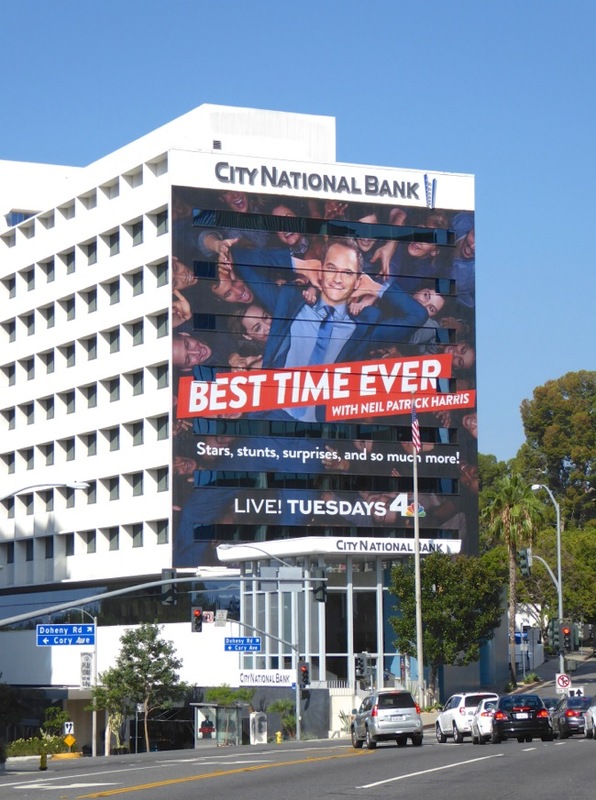 Based on hit British show Ant & Dec's Saturday Night Takeaway (they also host Britain's Got Talent), the U.S. version will feature stunts, pranks, sketches, famous guests, game shows, audience giveaways and as it's Neil Patrick Harris, no doubt a few songs and a little magic. 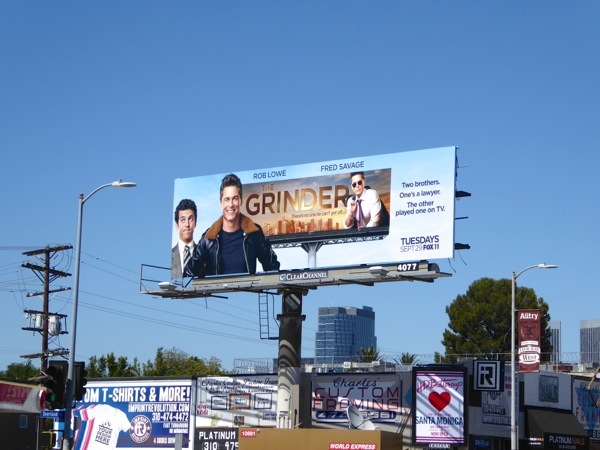 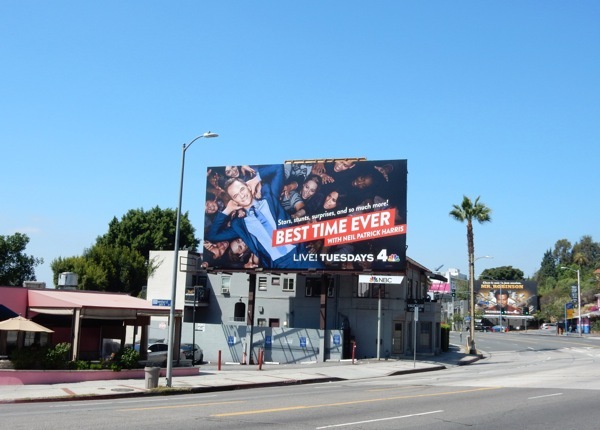 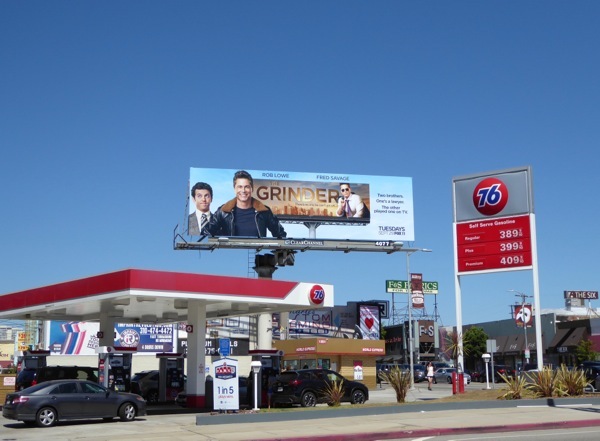 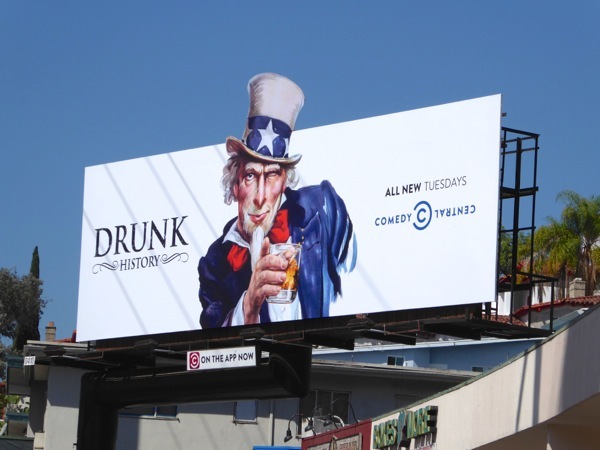 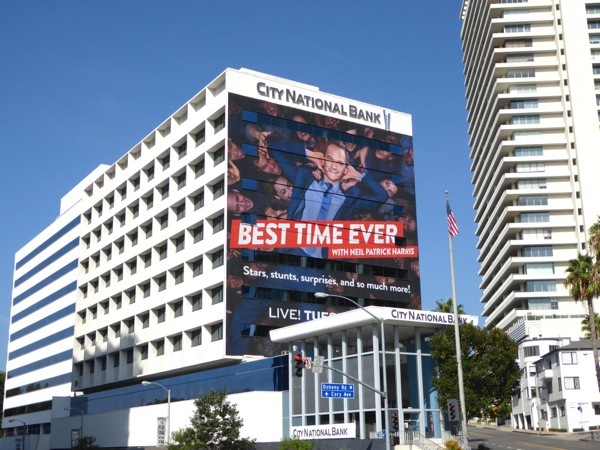 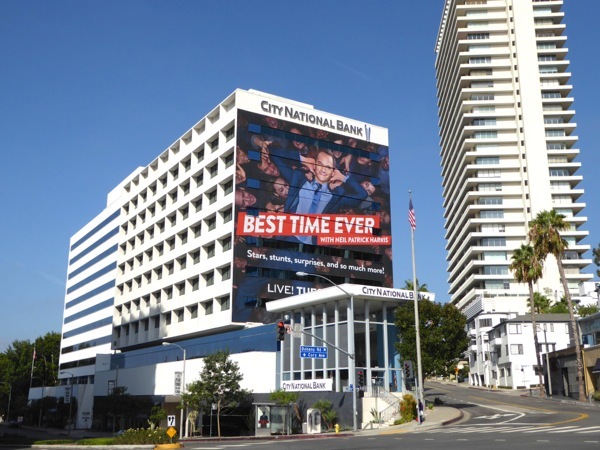 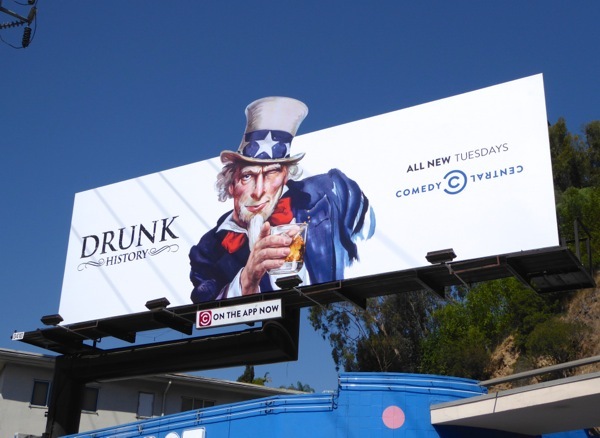 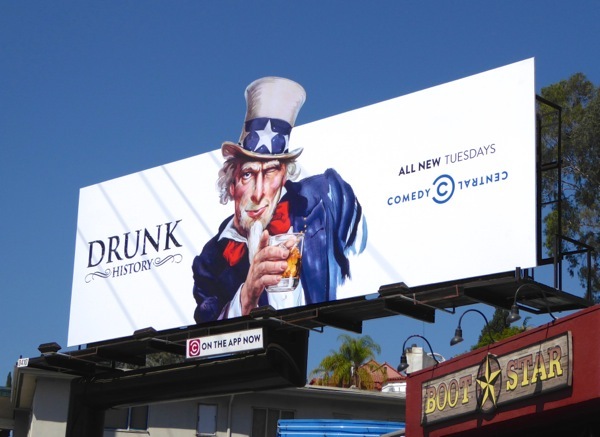 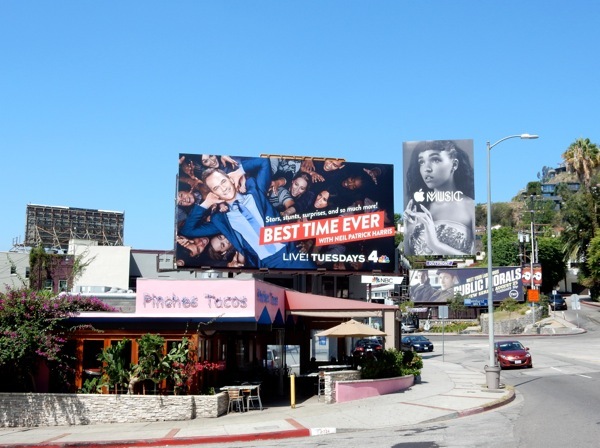 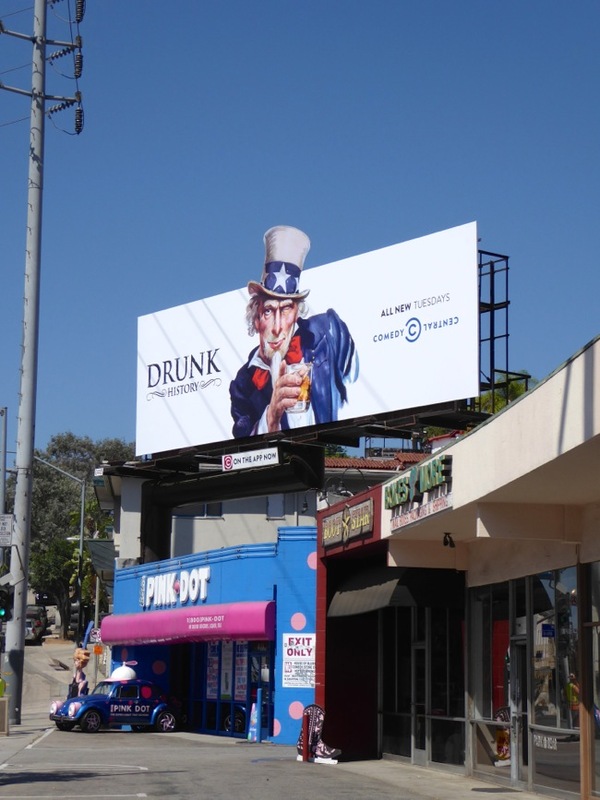 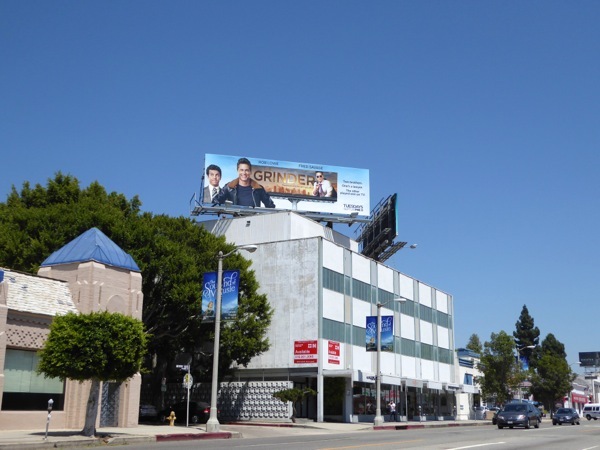 This giant billboard featuring the crowd-surfing host was snapped towering over the start of the Sunset Strip on August 23, whilst the landscape version was first spied further east along Sunset Boulevard on August 8, 2015. 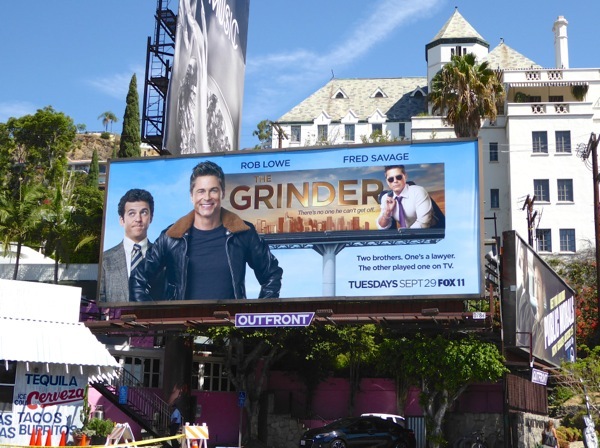 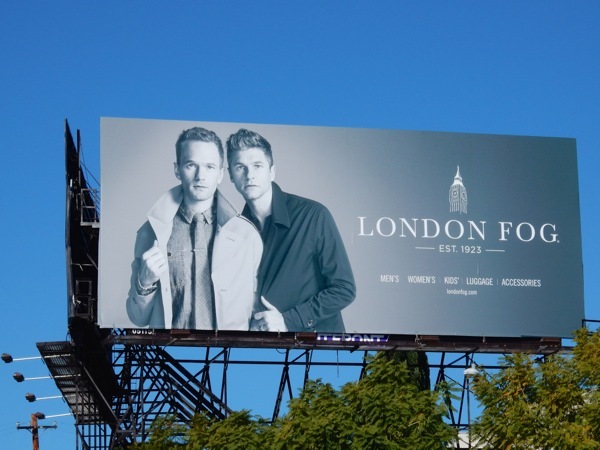 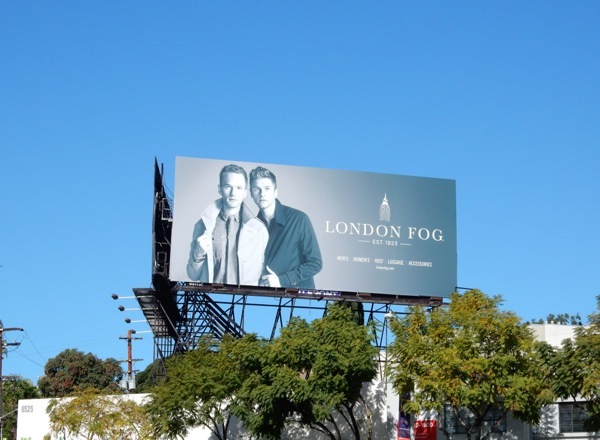 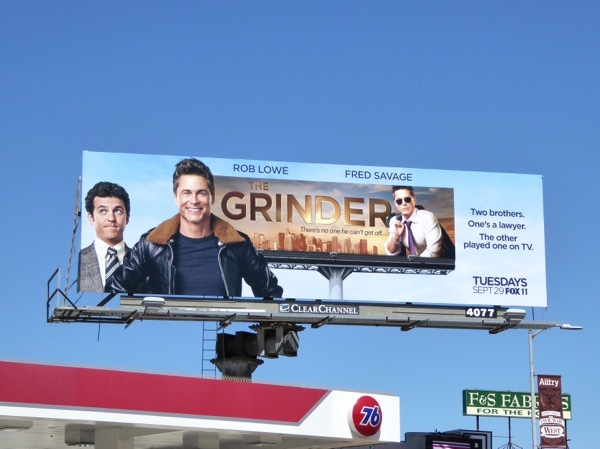 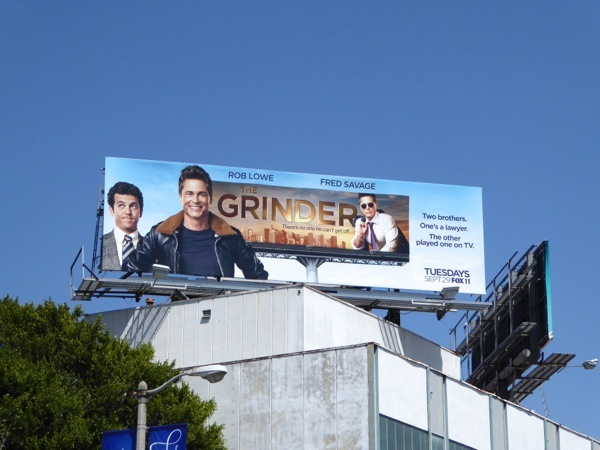 Fans of the multi-talented star will also enjoy this fashion billboard for apparel brand, London Fog, snapped on March 3, 2015 in West Hollywood, as when he's not acting, singing, producing, writing or hosting he can be seen modeling with his husband David Burtka. 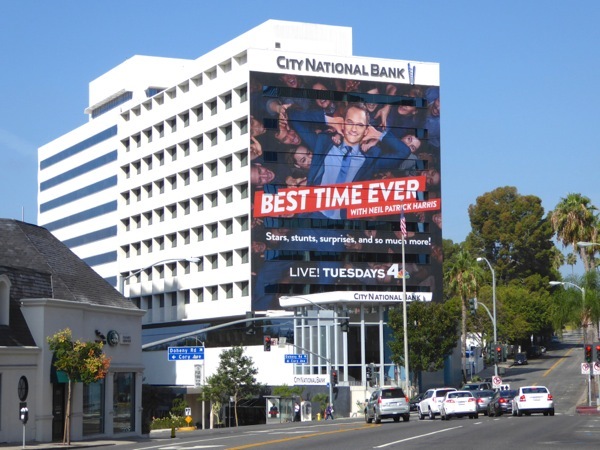 Speaking of fashion, and this Best Time Ever ad creative also reminds Daily Billboard of these crowd-surfing billboards for Tom Ford from last year. 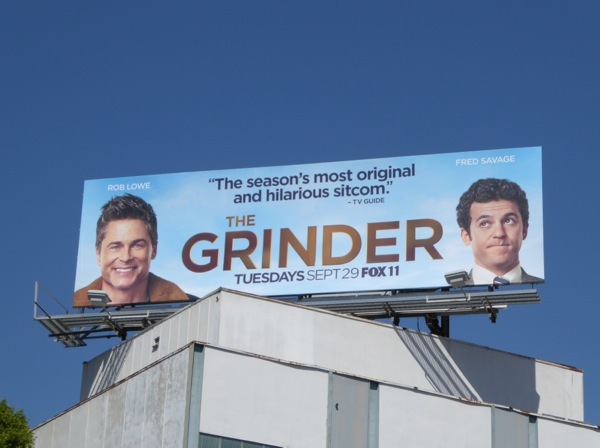 He has the distinction of hosting the Tony, Emmy and Academy Awards, is famous for playing the teenage Doogie Howser, M.D. 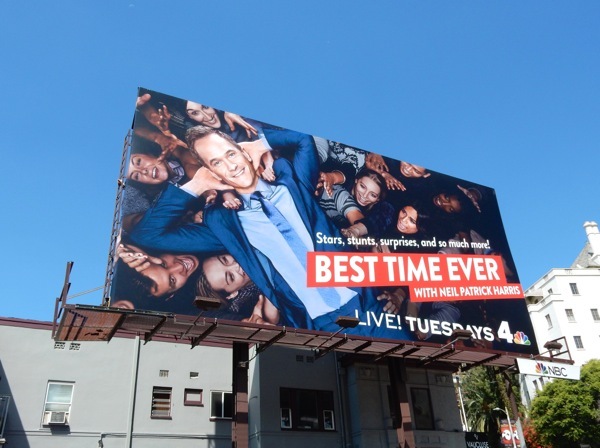 and 'Barney Stinson' in nine seasons of How I Met Your Mother, plus recently wowed on Broadway in the revival of Hedwig and the Angry Inch, so does Neil Patrick Harris have what it takes to make must-see television viewing this Fall season? 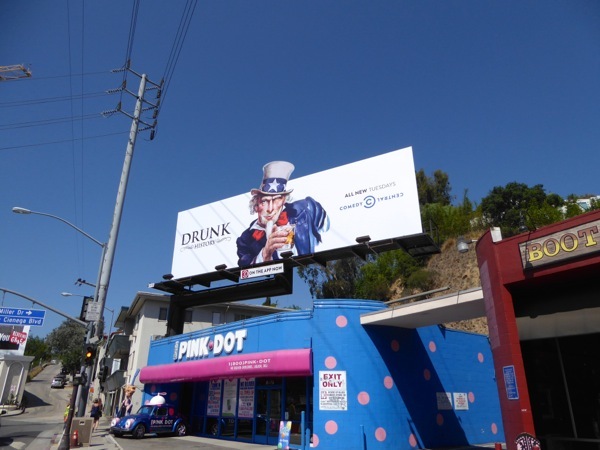 If you're an admirer, then be sure to also check out this billboard for the 87th Oscars featuring Neil Patrick Harris, these A Million Ways to Die in the West movie billboards and these A Very Harold & Kumar 3D Christmas movie billboards. 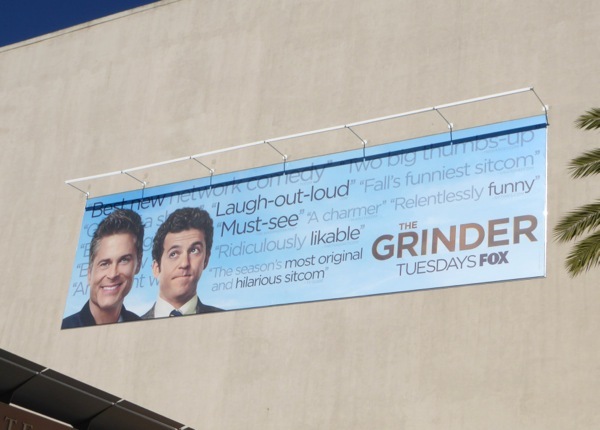 Get ready for the Best Time Ever on September 15, 2015, and in the meantime stick around this weekend for even more new TV shows making their debut this season.